Badging is one of the exciting new features that we have introduced to Cloudworks. You can find a list of Cloudworks badges, and apply for or issue your own here. A badge is a way of recognising skills and achievements developed through informal learning, wherever that might take place. 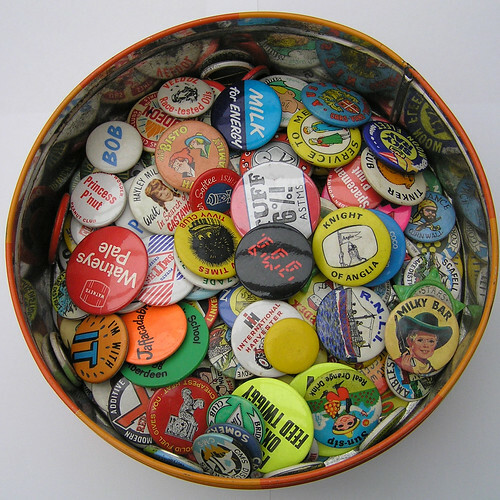 Badges can provide a focus and motivation, and are a way of signalling achievement to others (friends, family, employers, educational institutions and communities). The badges used in Cloudworks are supported by Mozilla’s Open Badges project and any registered Cloudworks user can issue, earn and display a badge in their profile page. For more badge FAQ visit the excellent Mozilla FAQ page. The badge issuer may have been quite specific about how you could provide evidence, but if they haven’t you must decide how best to do it. Your evidence might consist of a reflective blog post, or a photo, a document, a diagram, a screen shot, or an activity stream and you will need to be able to link to all your evidence via one URL – so it needs to be held online somewhere. If you have a number of different pieces of evidence you want to submit, the easiest way of doing this is to set up a Cloud. Use the text box to describe your evidence and how it meets the criteria and then ‘Add content’, ‘Add embedded content’ or ‘Add link’ for as many pieces of evidence as you need. Then copy and paste the URL for you evidence Cloud into this page. If you want to know more about how to share pictures, videos, documents and ideas on Cloudworks, there’s a Cloud about it. Someone will check that the evidence that you have provided meets the criteria. If it doesn’t, they will give you feedback to say why and you will get as many chances to resubmit new or revised evidence as you need. What happens when I am awarded a badge? When your badge application has been approved you will receive an email letting you know. You will also be given the opportunity to click a link to add the badge you were awarded in Cloudworks to your Mozilla backpack if you have one. You can find out more about setting up your Mozilla Badge Backpacks on the Mozilla Open Badges website but please remember that if you want to be able to transfer you Cloudworks badges over to Mozilla you will need to use the same email address when you set up your Backpack as you used to set up your Cloudworks profile. Your badge will automatically be displayed on your Cloudworks profile page. If you add your badge to your Mozilla Back Pack you can also display it on Twitter, Facebook and Google+. You can also invite people to see your Back Pack by sending them the URL link to it. Badging is quite a new concept but in the future there are likely to be far more places you can display your badges. Go to the 'Create a badge' page. Begin by giving your badge a name and describing it. Then add the name of the issuer (this might be your name, the name of your course or institution but make sure you have permission to use the course or institution’s name on your badge). The default issuer is Cloudworks. Badges need to be a particular size and format; these restrictions are set by Mozilla. You will also need to make sure that you have permission to use the image. Once someone has been awarded a badge, the badge image it will appear on their Cloudworks profile page, and may also be added to a Mozilla backpack. Remember that badges should look worth having! You can either choose a specified verifier or group of verifiers who will check evidence meets criteria and approve or reject applications, or you can leave it to the Cloudworks community to judge whether the badge should be awarded. If you use the latter process then you need to say how many of the community need to agree that criteria have been met. There are pros and cons to each process so think about what will work best in your case. You may be asked to become a verifier for a particular badge of badge application. The role of the verifier is a really important one. When you verify an application, make sure that you carefully check that the evidence provided by the applicant really does meet the badge criteria. If the evidence does not yet meet the criteria you must ensure that you give the applicant constructive feedback so that they are able to resubmit successfully should they want to. Even if the application is successful, it is good practice to give feedback.